In 1744 Claire and Jamie establish themselves in Paris and become fixtures of not only the social scene but of the court of King Louis. Through all the dinner parties and intrigue, they attempt to foil Charles Stuart’s plan to retake the Scottish throne. Unsuccessful, and with the Battle of Culloden on the horizon, Jamie sends a pregnant Claire back to the twentieth century and heads into battle to die. In 1968, Claire tells her story to her daughter and discovers that maybe Jamie didn’t die at Culloden afterall. In 1968 Roger Wakefield is set the task of organising his recently deceased adoptive father’s estate. His efforts are interrupted by the appearance of widowed Claire Randall and her striking, tall, red haired, blue eyed daughter Brianna. Claire mysteriously asks Roger to research the men of Broch Tuarach who fought at Culloden – and not to mention James Fraser. Roger takes the Randalls to an old church in St Kilda. They find Black Jack Randall’s grave (maybe he didn’t get trampled to death at Wentworth prison after all? ), and then Roger kisses Bree while Claire discovers Jamie’s grave. Claire explains that Frank is not Brianna’s biological father – though he loved her dearly – and that her father is, in fact, an 18th century Scotsman who Claire was forced to wed after falling through time back in 1946. Brianna scoffs at the story, but Roger is understandably interested. In 1744, Jamie and Claire’s story picks up more or less where Outlander left off. Now Claire is pregnant, and Jamie is endearing himself to his wine merchant Jacobite uncle, Jared. Claire meets Master Raymond, a local apothecary. Jamie and Claire become regulars at the court of King Louis. During one such outing they are confronted by a man who looks too much like Black Jack Randall not to be a relation. The man is Randall’s younger brother, curate Alexander Randall. Jamie befriends Prince Charles Stuart, aka The Yong Pretender, aka Prince Thearlaich, aka Bonnie Prince Charlie. Much to Jamie’s dismay, Claire begins volunteering at L’Hopital Des Agnes. New friend, and Frank’s ancestor, Mary Hawkins tags along. Jamie hires a ten year old pick pocket, Fergus, to act as page and interceptor of important letters. None of the letters mention plans to return a Stuart King to Scotland. At Versailles, Claire fears a miscarriage but it turns out she was poisoned. The number one suspect is the Comte St Germain, whose ship and cargo were burned after Claire diagnosed one of his workers with small pox. Returning home one evening, Claire and Mary are attacked. Murtagh is rendered immediately unconscious and Mary is raped, though Claire escapes unscathed. The band of attackers are clearly members of the upper class, and scatter when they recognise Claire as La Dame Blanche – a sorceress who can see into the souls of men and punish them should she find them wanting. Alex Randall and Mary Hawkins are in love, but their relationship is now not only hindered by his lack of money and standing within society, but by her sexual assault. While aiding Mary in seeking Alex out, Claire runs headlong into yet another man who looks remarkably like Black Jack Randall. This time is. Jamie arrives and vows to kill him, before escorting Claire out to the waiting carriage. Claire assumes the worst, that Jamie has gone to duel with Randall, and discovers Dougal MacKenzie in her home – because why not. She enlists his help in having Randall arrested, hopefully before Jamie could find him and challenge him. With Randall arrested, Jamie returns home. Claire begs him not to kill Randall – well, not yet anyway – for Frank’s sake. He’s not pleased, but he reluctantly agrees. Jamie and Murtagh leave for Spain to further sabotage Charles Stuart’s venture through faking small pox symptoms aboard St Germain’s ship, hopefully leading to the destruction – once again – of his cargo. Claire discovers Jamie has not gone immediately to Spain, but is doing the one thing he promised not to do. She eventually arrives at the site of the duel, and just as Jamie is finishing Randall off, Claire faints. Claire has a miscarriage and Jamie has vanished. No matter, she doesn’t want to see him anyway and in her fevered state, she would prefer just to die. Master Raymond visits, against the wishes of the Sisters at L’Hopital St Anges, and heals Claire through magic that makes his hands glow blue. Claire overhears that Jamie has not disappeared, but has in fact been sent to the bastille for duelling. A distressed Fergus recounts his side of the story – that Randall took a fancy to him while visiting the brothel in which he grew up, but Jamie was there and challenged Randall when he found out. Claire organises an audience with King Louis to beg for Jamie’s release, knowing she will have to sleep with the King to make that happen. When she arrives, however, there is some kind of occult trial happening where her presence as La Dame Blanche is required. St Germain and Master Raymond both stand accused of witchcraft, and through a “dragon blood” potion that theoretically only affects witches, Claire and Master Raymond both remain unscathed. St Germain however, collapses, twitching, to the floor. One of the conditions of Jamie’s freedom is that he must leave France immediately. Happily, King Louis also organised for Jamie’s name to be cleared, so he can return to Scotland a free man. Jamie, Claire, Fergus and Murtagh return to Lallybroch. Everything is perfect until one day Jamie receives a letter announcing Charles Stuart’s intentions – with Jamie’s name signed at the bottom among the list of loyal supporters. Jenny asks Jamie to take Ian with him when they go to fight, but Ian refuses in favour of minding Lallybroch. On the eve of the Battle of Prestonpans, Jamie is attacked by a young English soldier. Jamie brings him back to the camp to question him; the soldier heard Claire’s voice and assumed she was in need of rescue from the terrible Scotsmen. Jamie goes along with the ruse, threatening the soldier and then Claire when that doesn’t illicit a response. The gallant young Englishman answers all questions asked of him and is left, tied to a tree, until his comrades find him. His name is William Grey. In line with the history Claire learned as a child, the Highlanders are victorious in the battle and suffer few fatalities. Jamie returns something of a hero, despite suffering a sword wound, and being stepped on by a horse. The Scottish army establishes Edinburgh as its headquarters. Charles Stuart is still looking for the funds Jamie and Claire know won’t be arriving. Colum MacKenzie summons Claire and Jamie. His health has deteriorated and he hopes Claire might be the one to give him something to end his suffering once and for all. Before he departs, however, and needs to decide whether or not to pledge Clan MacKenzie to the Stuart cause. Jamie advises against it, and Colum makes his decision. Colum dies before he can give his apologies to Charles Stuart, and new Clan Chieftain Dougal takes over and, Jacobite that he is, offers the MacKenzie services to the Stuarts. Claire is confronted, once again, by Jack Randall. His brother, Alex, is sick and in payment for helping him as well as she can, Randall offers Claire intel on the English army. Charles sends Jamie and Claire to convince the Frasers to join his cause. Lord Lovat, the Old Fox, comes by his nickname earnestly and eventually agrees to send his son to Charles’ aid while he stays at home should things go awry. Jamie and Claire return briefly to Lallybroch, where Jamie learns his men have been imprisoned in the infamous Tollbooth for desertion. At Falkirk, Rupert dies from a gunshot wound – Claire unable to save him in the dark. The English have them surrounded and Dougal decides their best chance at escape is handing Claire over as a released English hostage. Claire is taken to a country house where the door is opened by none other than Mary Hawkins, and she is taken to meet the resident of the house, the Duke of Sandringham. The Duke confesses, among other things, that it was he who had Claire and Mary attacked in Paris. He tried to have both Claire and Jamie killed for attempting to sabotage the Stuart cause. Claire is locked in a guestroom, where she is eventually rescued by Jamie. Hugh Munro, Jamie’s tongueless friend, had told Jamie of her whereabouts and was hanged as a poacher when caught on the Duke’s land. Murtagh delivers the head of the Duke to Hugh’s widow. Alex Randall is dying and summons Jamie, Claire and Black Jack to his room. He marries his brother and his pregnant lover, Mary, before dying shortly thereafter. Jamie and Claire arrive at Culloden along with the exhausted and starving Highland army. 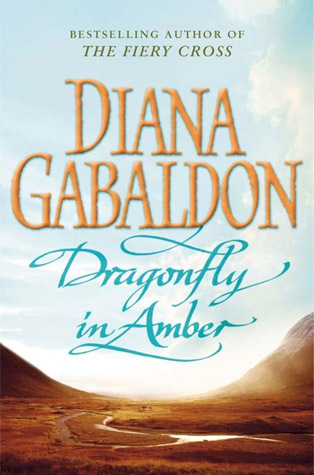 In a last ditch attempt to save thousands of lives, Claire suggests poisoning Charles Stuart. Dougal over hears and attempts to kill Claire, but Jamie kills him first. A MacKenzie clansman witnesses the killing, and Jamie begs an hour to see his wife safe before the man tells anyone. Claire follows as Jamie rides to Craigh Na Dun. He tells her she must go, but she offers to go back and fight – and die – alongside him. He believes her to be pregnant and urges her once again to go back to Frank. Jamie and Claire spend one last night together in the cottage on the hill. They are discovered in the morning, Jamie to escape being tried for murder only to die in battle, and Claire throws herself through the cleft in the stones. In 1968 Brianna is unconvinced by the story and angry at her mother. Claire enlists Roger’s help in finding Geillis before she herself journeys through the stones, for did Dougal not pass on Geillis’ message of one-nine-six-eight? They manage to track Geillis down on Beltane at the top of Craigh Na Dun, her dead and burning husband on the ground in front of her, just as she disappears. With Brianna convinced, Roger drops the bombshell that Jamie Fraser did not die at Culloden. Mallaichte bas! – Black death! Pog ma mahon! – Kiss my arse! Much, mo naoidheachan, much. – Hush, my child, hush. Cuir stad! – Stop that!